Here's a peek of the menu. 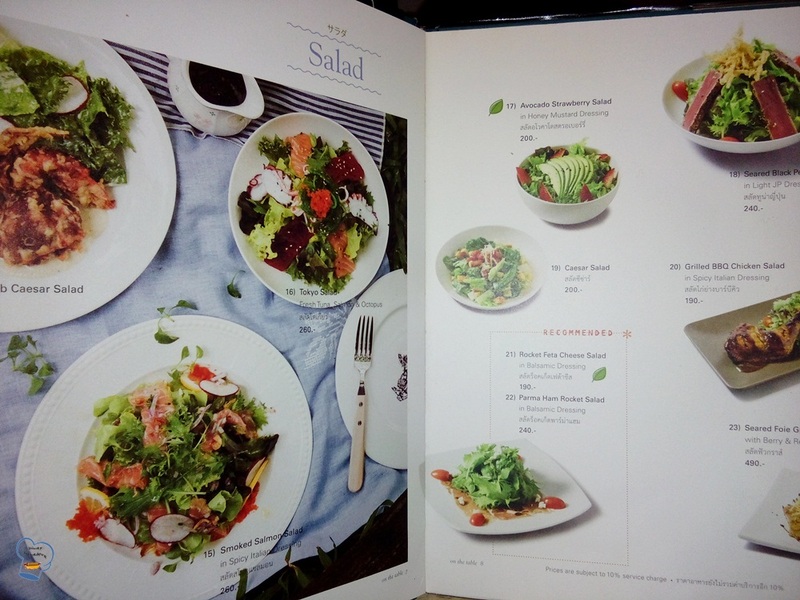 They have few good choices of salad. 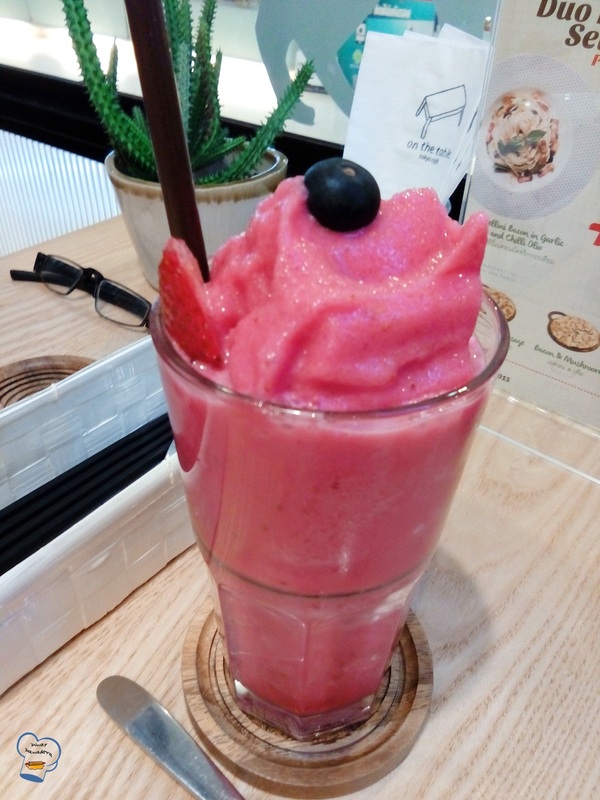 I love to have the smooth, creamy feel of smoothie after walking in the heat. That's how I roll. I asked for a strawberry banana smoothie as soon as I sat. It took some time for my cousin and friend to decide on what to drink. They ended up ordering smoothies as well. 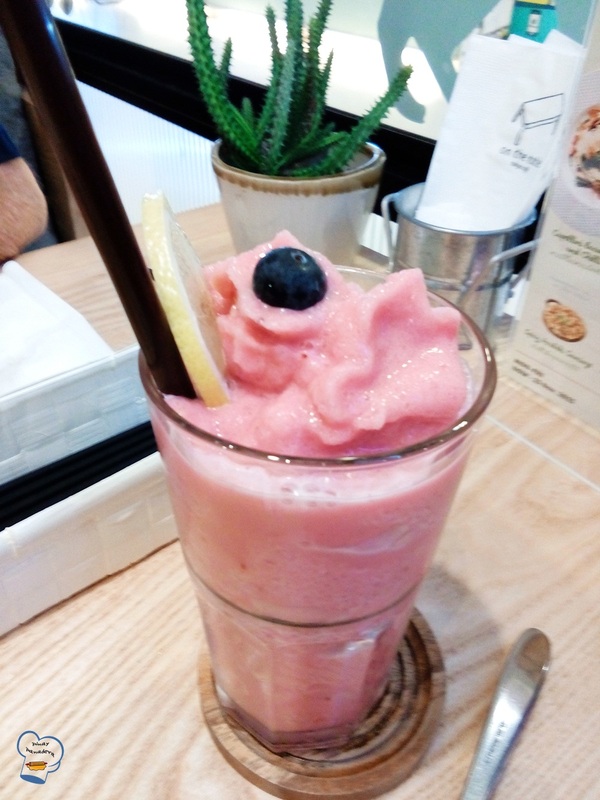 He had raspberry and my cousin had mixed berry smoothies. Mine was the tastiest. 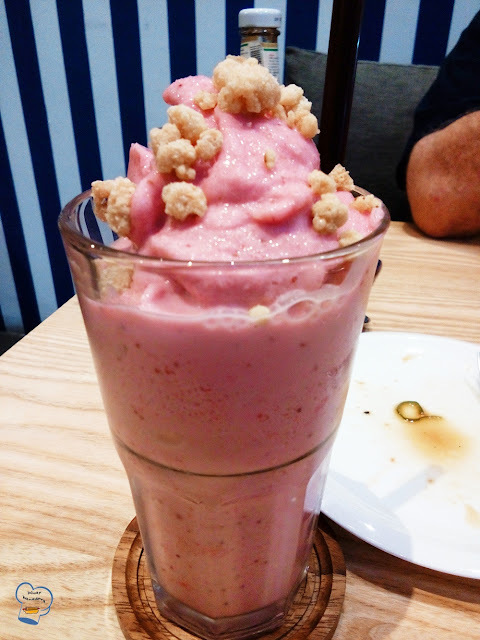 The strawberry and banana combo plus the crumble on top were delicious. Like we normally do when dining out, we order one or two kinds of salads and share them. There were just the three of us this time so we thought one was enough. 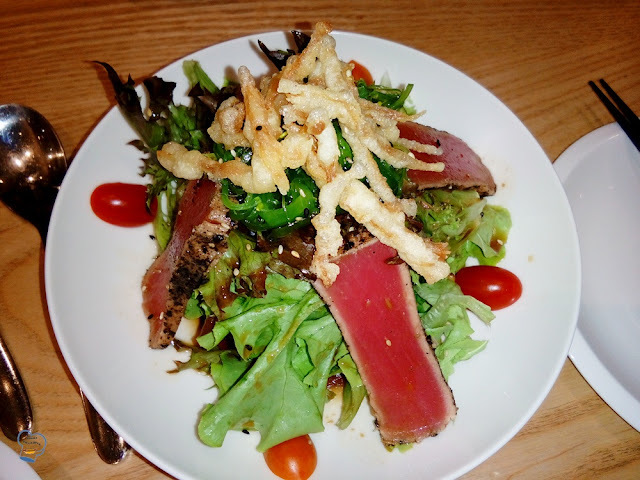 We shared this refreshing seared black pepper tuna salad. It was lovely. 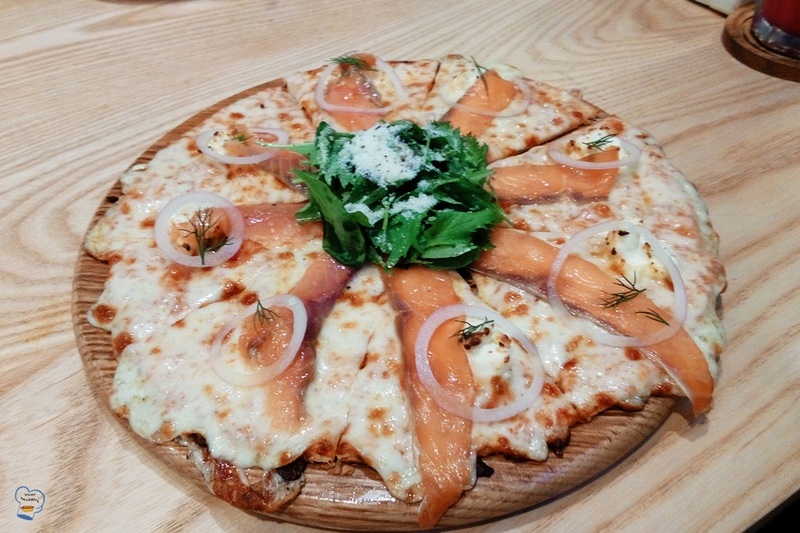 We are all big Italian food fan which means pizza would be enough to satisfy us. 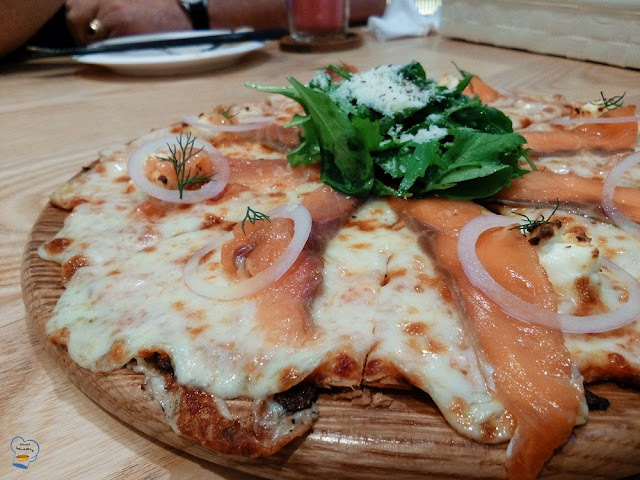 My cousin and I shared salmon and cream cheese pizza. Our choice did not disappoint. The thin crust was crunchy. The cream cheese complement the smoked salmon wonderfully. 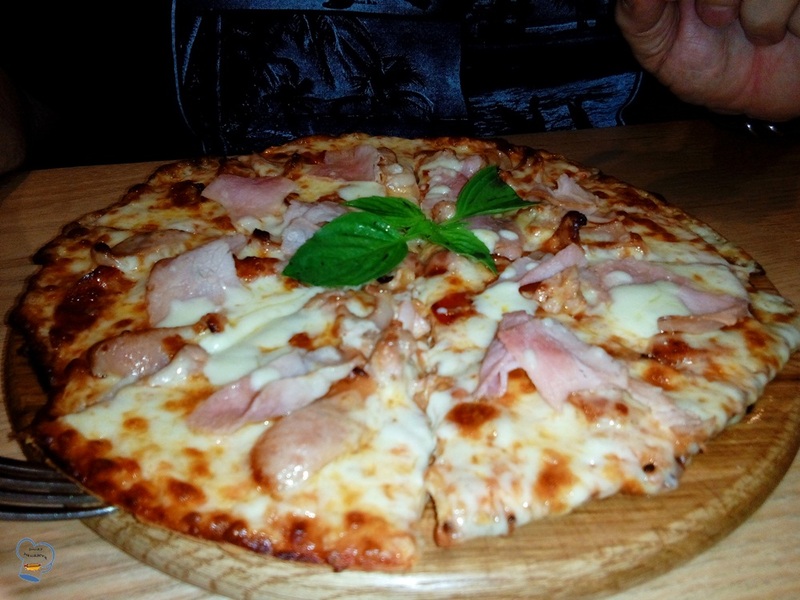 As for my friend, he single-handedly ate pizza with parma ham topping. No, we did not skip dessert. 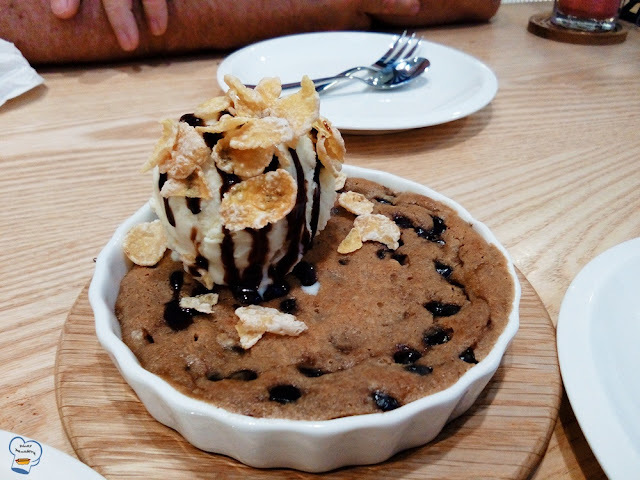 This soft chocolate chip cookie with vanilla ice cream served as my birthday cake was the highlight of our meal. I got to eat most of it. Thanks for the wonderful time Dr. P.